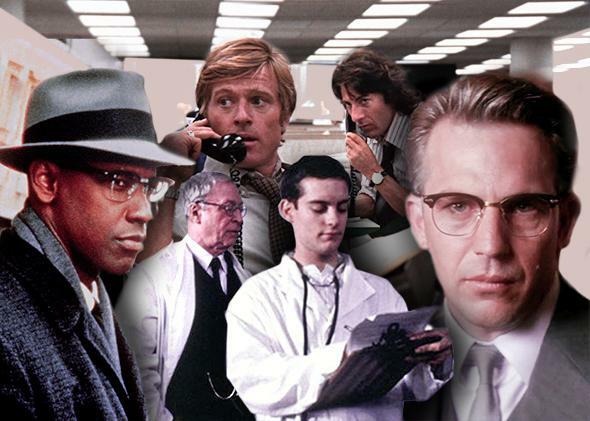 Movies that influenced political views: All the President’s Men, Malcolm X, Cider House Rules. These films could be reshaping your political views without you even knowing it. Rush Limbaugh was right all along. According to a study recently published in Social Science Quarterly, Hollywood is making you more liberal. The study, titled “Moving Pictures? Experimental Evidence of Cinematic Influence on Political Attitudes,” was co-authored by Todd Adkins and Jeremiah Castle of the University of Notre Dame. It found that viewers who watched a movie with a message on health care (either Francis Ford Coppola’s fairly polemical The Rainmaker or James L. Brooks’ more subtle As Good As It Gets) generally saw their support for the Affordable Care Act, or similar policies, increase. So, The Rainmaker and As Good As It Gets might make you like Obamacare more, or hate it less intensely. While we’re at it, here are five other major motion pictures that—according to science—possibly reshaped your political views without you even knowing it. Many of these are also referenced in Adkins and Castle’s study. We only chose the films for which we could find a scientific study supporting claims that they altered political opinions. 1. JFK destroyed your faith in the American political system. You may or may not agree with the political messages presented in the other films on this list. But at least they motivated their audiences to care about an issue, to take a stance. Precisely the opposite happened, however, in a study of the “psychological consequences” of seeing the extremely controversial 1991 conspiracy drama JFK, directed by Oliver Stone. In a 1995 study of viewers before and after seeing the film, Stanford University psychologist Lisa Butler and her colleagues found that seeing JFK “doubled the level of anger” of viewers. What’s more, it also seems to have affected their political intentions. Seeing the film “was associated with a significant decrease in viewers’ reported intentions to vote or make political contributions.” The researchers attributed this response to a “general helplessness effect” engendered by seeing the film: The vast conspiracy (supposedly encompassing the CIA, the military-industrial complex, the mob, and some of the most powerful figures in American government) proposed by the filmmakers made people feel powerless. 2. The Day After Tomorrow made you care more about global warming. Yes, yes, we know it wasn’t scientifically accurate or plausible. But did the 2004 disaster film, in which global warming somehow manages to bring on a new Ice Age (you are right to scratch your head), make audiences more worried about climate change? According to a study by current Yale researcher Anthony Leiserowitz, the answer is yes. Leiserowitz conducted a national survey three weeks after the film’s release and found that 83 percent of film viewers said they were “somewhat” or “very concerned” about global warming, compared with 72 percent of nonwatchers. Moviegoers were also more likely to believe in the likelihood that a variety of climate-related impacts, ranging from more extreme weather to the flooding of major cities, would occur in the next 50 years. The study only sampled 529 people, but The Day After Tomorrow grossed more than $500 million globally. So one can infer it had a pretty significant effect on public opinion around the world. 3. The Cider House Rules turned you pro-abortion rights. In the Academy Award–winning 1999 film (directed by Lasse Hallström and starring Tobey Maguire and Charlize Theron), Michael Caine portrays Dr. Wilbur Larch, an ether-addicted abortionist. The movie is set in Maine during World War II, when the state was under a hugely restrictive abortion ban. The compassionate Dr. Larch performs the procedure for young women in dire straits. When screenwriter and author John Irving won the Oscar for penning the film’s script, he thanked “everyone at Planned Parenthood” and NARAL Pro-Choice America at the end of his acceptance speech. 4. Malcolm X inspired you to be more concerned about racial discrimination and race relations. In a 1997 study in the Journal of Politics, Darren Davis of Michigan State University and Christian Davenport of the University of Colorado–Boulder examined the effect of the 1992 film Malcolm X (directed by Spike Lee and starring Denzel Washington) on African-Americans in Houston. The study found the film, and the way it was reinforced in other media, to be “quite powerful in altering political attitudes” among the study subjects. In particular, those who saw the film and a CBS documentary about Malcolm X were more aware of issues of discrimination and also more concerned about the importance of race relations as a political issue. 5. All the President’s Men caused Republicans to favor more restrictions on the press. The acclaimed 1976 film (directed by Alan J. Pakula and starring Robert Redford and Dustin Hoffman) dramatizes Washington Post reporters Bob Woodward and Carl Bernstein’s investigation of the Watergate scandal, which exposed the abuse of power by Republican President Richard Nixon. All the President’s Men is actually credited with boosting enrollment numbers at journalism school in the United States, due to the heroism of the two journalists. The film also affected Republican and Democratic attitudes towards the press, according to a 1979 study by professors William R. Elliott of the University of Oregon and William J. Schenck-Hamlin of Kansas State University. As you would probably guess, the study found that the movie caused liberal viewers to have a more positive view of the press and caused conservative ones to hold a more negative view. In particular, after seeing the movie, Democrats agreed less with this statement “there should be laws that control some of the things reporters write and talk about.” Republicans, however, moved in the opposite direction and became significantly more in favor of press restrictions.